What a visually stunning episode we were treated to with Aperitivo. 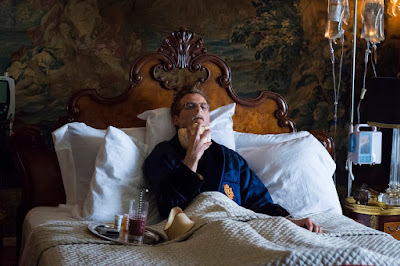 With a lot of memory palace exploration, slow, dramatic rehashing of that violent season two finale and finally catching up with the last of the survivors, I can’t help but wonder if Hannibal has jumped the proverbial shark. So far, season three has been a bit full of itself with it’s overly somber tone and, at times, over the top art direction, but this episode was so chock full of pretentious story telling devices, that it felt longer than it actually was, was far more emotionally draining than it needed to be and took an entire episode to tell us something that could have been summed up before the first commercial break. This was an exercise in indulgence and I felt overfed by the time it was over. Using Chilton as a tool to visit all of the periphery characters, bring us up to speed and begin to weave together the revenge that they all want to pay to Hannibal was clever and fun, but it also smacked of Chilton’s embarrassing need to be part of the cool kid group. It doesn’t matter that you took a bullet to the face and became handy with a concealer brush, Chilton. You’re still that annoying kid who tries way too hard to be accepted. Kudos to you for copyrighting Hannibal the Cannibal, though. Dr. Alana Bloom has miraculously survived what surely seemed to be a fatal fall from a window and has emerged a new woman. A woman scorned who wears a severe stripe of red lipstick on her overly made up face. Bloom used to favor feminine wrap dresses and a more natural makeup palette. Pairing her old Hollywood hair and makeup with structured suits and a cane that looks as though it can double as a lethal weapon, she is a new and more violent woman and she has her eye on one very special cannibal. Seeing what Jack Crawford endured after magically surviving a glass shard to the throat was equal parts beautiful and heartbreaking. Bella tried to end her suffering last season, but was thwarted by Hannibal. In a true gesture of love, Jack ended Bella’s life and the way they showed both their wedding and her funeral in complimentary scenes was tragically lovely. 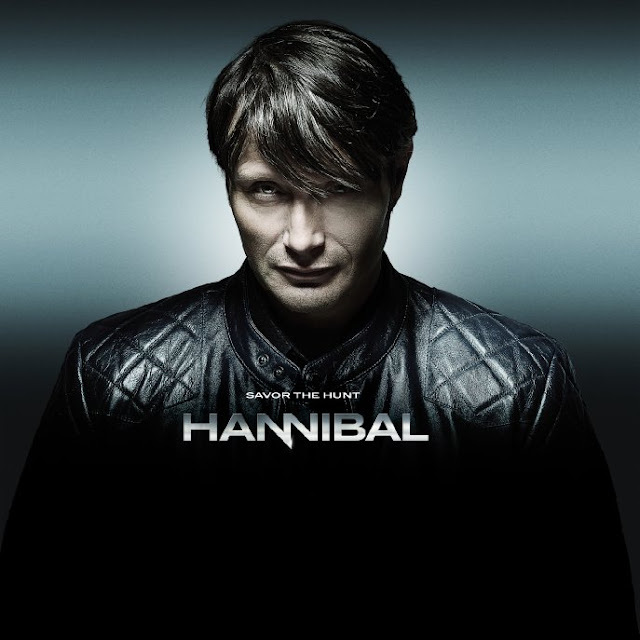 By almost completely dispensing of the title character for an entire episode, Hannibal continued to defy traditional television rules and, mostly, it worked, but I simply can’t let go of the gnawing feeling that a lot of time was spent on making things overly striking and beautiful and that’s not always a good thing. Ending the episode with Will getting ready to sail away was abrupt, weird and confusing. How much time is still left to account for between the events of this episode and the last? Is Will sailing away to Europe? Seriously, where is he going on this boat trip of his? It doesn’t seem as though Hannibal is trying very hard to hide if he’s sending notes to Jack and Will. Indeed, he is drawing everyone to him, but does he know just how many people are RSVPing to his deathly soiree? Don’t think so. Lastly, where does Frances Dolarhyde fit into all of this. So far, we’re still playing catch up and blending events from the novels Hannibal and Hannibal Rising into what is a prequel to both of these.